Despite some trifling inaccuracies, the writer of this piece really should have gotten some kind of award, not only for that movie-trailer-gives-away-the-plot headline, but also for the cleverly capitalized acrostic phrase. We can practically see the author sitting back and lighting up a satisfied cigar. 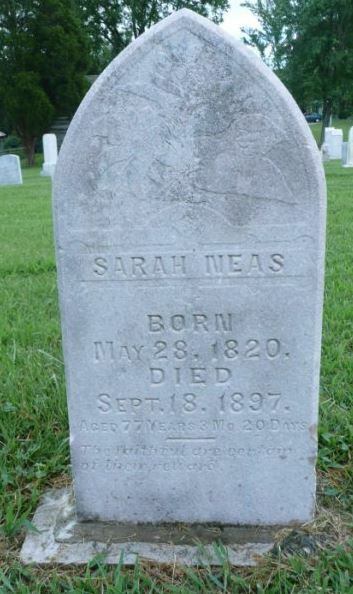 That said, I have absolutely no idea what ailed Miss Sarah Neas. BY All Odds the Greatest Wonder of the Age. THE Victim Beyond Her Three Score and Ten. HUNDREDS of Bones in Her Feeble Old Frame. FROM Every Part of the Skeleton They Escape. HER Affliction Covers a Period of Twenty-One Years. BODY and Soul Held Together By an Unknown Something That Baffles All Humanity. But few of those present thought that they were anything else but bones from some lower animal. The doctor says he will send the wonderful collection to an osteological expert for examination. It has been six months since the first paper was read to the society on this remarkable case, ad during this lapse of time the ejection has been going on at a rapid rate. I did not find proceedings for the East Tennessee Medical Society with Dr. Bell’s paper and I really cannot see how the fact that Miss Neas has resided in the same place, has traveled but little, and has never been on board a railroad train, lends credibility to her claims, but perhaps the doctor knew something of well-travelled bone-fraudsters that he did not mention. It is a bit difficult from his descriptions to tell whether Dr. Bell actually saw bone emerging from skin a la the psychic surgeon operations, or whether a bone splinter was merely found in the ear canal or was coughed out of the throat. I do not like to cast aspersions on such a fine headline-writer, but it seems doubtful that the bones actually squirmed like maggots, although it is such a diverting image that I desperately want it to be true. What particularly struck me about this account was its similarity to something called the “blast” or “flick” in fairy lore. Barbara Reiti, in a chapter called “’The Blast’ in Newfoundland Fairy Tradition,” which appears in The Good People, New Fairylore Essays, edited by Peter Narvaez. The “Blast” is an attack by the Good People, perhaps related to elf-shot. One man, drinking from a brook, felt a sharp pain in his face. And his face gathered and broke, and everything worked out of it, they said: sticks, stones, feathers, hairs, everything. But his face never went back at all. Took out rabbits’ bones and pieces of rags and felt and you name it, it came out of the hand. He got a blast, yes, really a blast. A young boy was “flicked by the good people.” His mother decided to poultice the foot of which he complained. A couple of days later it broke and they removed two old weatherbeaten bones. These bones in no way belonged to the boy’s own body. Reiti suggests that there are several medical conditions that might explain these and similar stories. In connection with the blasts from which bizarre items are expelled, teratoma and osteomyelitis are worth particular mention. The first is a congenital tumor composed of tissue foreign to the site, containing one or more of three primary germ layers, so that hair and teeth may indeed be found inside it; although usually found on the ovaries or testes, it may appear elsewhere as a dermoid cyst. The second is a bacterial infection of the bone; these “primary sequestra” may be enveloped by new growth (containing granular material), but characteristically a passage bursts to the exterior where it remains as a constant drain until the necrotic bone is surgically removed. Fairy blast or bone infection? Is Neas a name from a country with fairy traditions? As for infection, those “sores” that “quickly heal up” seem to contradict a “lack of pain and inflammation.” Perhaps it would have been more definitely a blast if a rag, a bone, and a hank of hair had emerged from the sores. But stop the presses! “The Famous Bone Case” fractured with an accusation of fraud by Dr. Charles M. Drake, who examined the exfoliated bones at a meeting of the East Tennessee Medical Society in October of 1891. I do not have his initial statement on the subject, but it was enough to make Miss Neas’s champions, including her own doctors and some of her relatives and neighbors leap to her defense. Interesting Batch of Affidavits About That Exfoliation. Attempting to Prove That the Tennessee Medical College People Do Not Know Even Comparative Anatomy. There lives in Greene county, an unfortunate woman by the name of Miss Sallie Neas, who has been afflicted with a disease of her bones for years. Her case has attracted considerable attention and has been examined by the best of physicians, who with baffled skill, shake their heads, saying there appears nothing like it in all the pages of medical science. Her affliction consists in the exfoliation of her bones, which began 21 years ago, apparently starting from a burn on the tip of the first finger of her left hand. A few small bones came out of this burnt finger before the sore was healed. Within a short time other bones came out of her hand, and as the years have passed, this nameless affliction has extended to her arm, shoulder and head. Dr. Bell, who has been her physician for years, on September 12th, last, lifted with his own hands, four small pieces of bones from her left ear. On the 17th inst., Dr. R.C. Smith, a reputable physician of Newport, secured from Miss Neas, the bones which she has exfoliated, brought them to Knoxville and exhibited them to the Tennessee medical college. What had up to this time been a mystery, a freak, was at once discovered by Dr. Charles M. Drake to be a humbug, a deceptive fraud, a woman who “since the newspapers have noticed her, has been exfoliating bones to order, supplying people in several different states” a woman who had “successfully imposed upon Dr. Bell’s credulity,” had “hoo dooed” him and sent out the bones of chickens, dogs, sheep and hogs, “not a human bone being found in the lot.” This wonderful discovery was written up in The Journal of the 20th inst., with sensational headlines and telegraphed to papers in other cities with a great flourish that the “Neas Fake” had been exposed and the “East Tennessee liar was away on top.” To us Dr. Drake received cheap newspaper notoriety at the expense of a slandered woman, and intended reflection upon the intelligence and veracity of worthy members of his own profession. In the Journal of 22d inst., we undertook to state that we knew Miss Neas personally, that she was not a fraud, and that she did exfoliate her bones. To this Dr. Drake replied over the signature of an amanuensis, that we were densely stupid, superstitious, and verdant, that there is “not a butcher in the meat stalls of the Knoxville market, who is not thoroughly enough familiar with the different bones of hogs, sheep and beef, to recognize this grand collection as bones of the lower animals.” We accept the comparison and submit the following testimony without comment further than to add that there are one thousand people in Green and Cocke counties, who we understand are anxious to give expression to their indignation at what they consider a cowardly attack against a defenseless woman. Mrs. Isaac F. Rader, being duly sworn, testifies as follows: I have been an eye witness to the shedding of nearly every bone by Miss Sallie Neas; know that not fewer than six hundred pieces have come out of her left hand, arm, and shoulder, and over twenty pieces out of her jaw and both ear; those from her jaw coming out through the mouth, three of which she swallowed, one requiring four days, having lodged in her throat. The bones are of various lengths, from one fourth of an inch to about five inches. Sworn to and subscribed before me this 26th day of December 1891. Andrew, Margaret and Jonas Neas added the detail that “We have seen all these bones, and have witnessed a great many cut their way through the flesh.” And at long last we finally hear from the notorious Miss Neas herself. Miss Sallie Neas being duly sworn testifies as follows: I am seventy-one years of age, have been an invalid since October 1870, at which time my bones began to come out of the end of the first finger of my left hand. Since that time I have lost 600 or 700 pieces, varying in size from a child’s first tooth to four or five inches. Dr. Bell took from my ears three or four small bones, but in all over twenty pieces of bone came out of my jaw and ears—three of which came out so low in my throat, that I had to swallow them, one with great difficulty, which required four days. Immediately before a bone splits off I feel much pain, and the whole of my arm and shoulder becomes quite numb. These bones often burst off with a report that is heard by all in the same room. If it is of the larger bones, it moves down by the arm just beneath the skin until it reaches my hand where it cuts through. About 100 pieces have been lost, the remainder I gave to Dr. R. C. Smith, of Newport, Tenn., he desiring them for examination and promising me to return them. They are still in his possession. The report as the bones “burst off” suggests the explosive noises sometimes heard in poltergeist infestations. And why did the bones not just break through the skin at random, instead, moving “down by the arm” to the hand where they “cut through?” Could this have been for ease in palming the bones in a bit of sleight-of-hand? Dr. Bell, of Parrotsville, Tenn., and myself, have been her physicians for several years. Dr. Bell much longer than myself, and we both have separately written accounts of her case, which have been published in some of the newspapers of the country. Dr. Drake seems to be one of those incredulous sort of men whom it is difficult to make belief…No doubt if his head were examined phrenologically it would be found that his bumps of self esteem, and incredulity are far more massive than his knowledge of the freaks of nature and human anatomy. Dr. Smith, spoken of in that article, is a very competent and reliable physician of Newport, Tenn. One of the misrepresentations is that Dr. Smith exhibited “nearly one thousand bones, all shapes and sizes,” from half of a boy’s tooth to pieces of the lower legs of dogs, hogs, and chickens.” It has never been claimed that Miss Nease has exfoliated as many as one thousand bones, but only about six hundred pieces. The bones that Dr. Smith exhibited on that occasion were no such bones as Dr. Drake took them to be, but pieces of human bones which came from Miss Neas by exfoliation. This is anything but a noble reference to an unfortunate but otherwise good and truthful woman. Dr. Drake knows nothing of the case and his position in the matter is doing the lady as well as the physician an injustice. Come up, Dr. Drake, if you want to be enlightened and examine her. You have undertaken a bigger load than you can carry. She is just as she has been represented, and your chicken bone philosophy will not be accepted. I wish through your columns to make a few remarks regarding the so-called exfoliated bones of “contention” of a Miss Neas. I regret very much that the subject has found its way into newspaper notoriety, since my name has been coupled to it. It is unnecessary to give even a short history of the case as it has certainly had sufficient publicity. In October last Dr. Benjamin F. Bell, of Parrotsville, Tenn., presented to the East Tennessee Medical society at its meeting in Bristol, six hundred bones of various shapes, said to have been exfoliated or “shedded” from the left forearm and dorsal aspect of the hand of Miss Sarah Neas, of Greene county. Upon that occasion I called the attention of the society to the fact that of the collection of bones presented, not one of the entire lot of specimens was from the human anatomy, and at the same time demonstrated from several specimens in the collection, the difference in conformation from that of the human bones. I called the attention of the society to the fact that this woman was a monomaniac; that her mind was more diseased than her bones and that she was posing as a freak in nature. A few weeks ago the same specimens presented at the Bristol meeting of the East Tennessee medical society were kindly secured by Dr. R.C. Smith, of Newport, and in his presence were presented to the class of the Tennessee medical college, together with specimens of the human anatomy, from the college museum. The so-called exfoliated bones were shown the class, along side of human bones of shoulder blade, lower jaw, esseovus canal of ear, arm, forearm, wrist and figure regions it was claimed from which exfoliation had taken place in Miss Neas. For myself, I have been a student in anatomy for twenty years and have spent nearly fifteen years in teaching this important branch of the science of medicine and feel that I ought to be able to distinguish without much effort the difference between bones of human anatomy and that of chickens or hogs. To the physician of Caney Branch who has thought it incumbent upon himself to challenge my knowledge of the “Neas case” and human anatomy, I can state that if he will give a little of his time to the study of anatomy he will be enabled to distinguish the thigh bone of a chicken from that of a metacarpal bone of the human hand. In conclusion, allow me to say that I have carefully examined the specimens furnished me by Dr. Smith, and which I believe to be the same presented by Dr. Bell at Bristol, and cannot find in the entire collection a single human bone…Affidavits count for nothing in scientific investigations and hence I make no reply to those contained in your issue of December 30th. C.M. Drake, M.D., 75 Church St.
Knoxville, Tenn., January 1, 1892. Dr. Drake also submitted the specimens to Prof. W. C. Bailey, M.D., “professor of practice of medicine and bacteriology in Tennessee Medical college, formerly professor in the post-graduate school of medicine in New York and well-known as a microscopist and student of Koch in Berlin.” Professor Bailey noted that the bones were not human, that the bones showed evidence of having been cut “with an edged tool” and that many of them had been boiled. While Dr. Drake certainly could have phrased things more tactfully (“monomaniac” is a bit unkind…), if the bones he examined were indeed the specimens claimed to have been exfoliated, there seemed to be no other explanation than fraud. I suppose it is possible that some medical students had played a prank with the bones at the Medical School presentation. 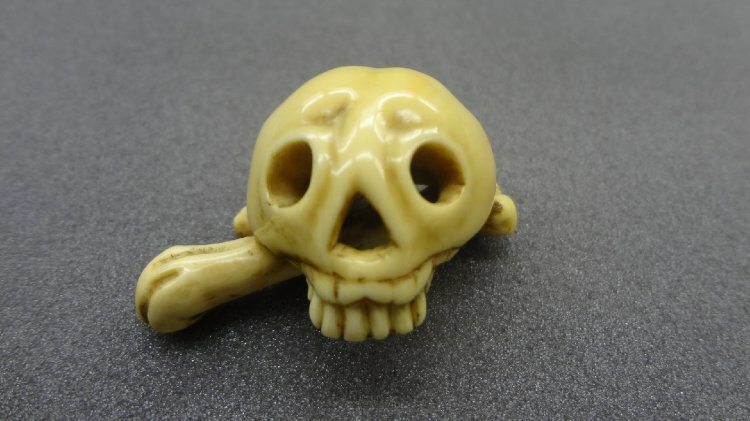 Medical students of the time were noted for their hi-jinks with human remains. But in general this case suggests the notion that I call “the perils of provenance”—when investigators or witnesses are so dazzled by the “provenance” of an object that they lose sight of the fact that the object itself is bogus. Were Drs. Smith, Bales, and Bell so convinced that they had actually seen bones coming out of Miss Neas’s skin that they missed the chop marks and the barnyard origins of the bones? Yet there seem to have been a great many witnesses who believed they actually watched the bones emerge. Was Miss Neas a unique and impossible freak of nature or had she perfected psychic self-surgery techniques good enough to fool all witnesses?